Dating: 3rd – 4th c.
Whether or not the Roman site in Popovac was part of the Limes, when it was redefined from a linear system in a wide military zone in the Late Antiquity (4th c.) remains to be confirmed. There are several locations in Popovac where Roman graves were discovered during ploughing. While digging a ditch near one of the sites, it was established that a Late Antique Roman settlement could have existed there. The oldest data about Popovac goes back to A Map of Bilje Manor from the 18th c. where a Roman city of Quadri Burgi is marked. In 1826, M. P. Katančić knew about a brick from this place with the Qvadribvr stamp, which could be its Latin name. But that could have also been Antianae or Aureus Mons. 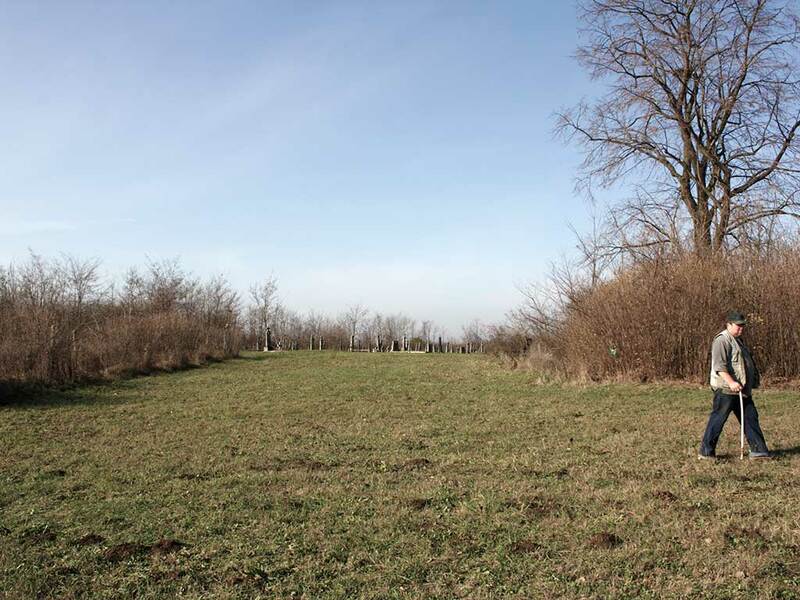 Based on satellite images and field survey in Popovac, M. Ilkić located a Roman camp with several ditches.